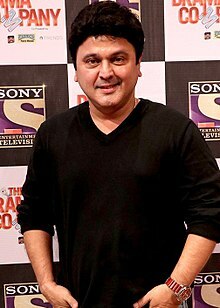 Ali Asgar is an Indian actor and stand-up comedian.He has appeared in many Indian TV serials and movies. Asgar appeared as Kamal Agarwal in Star Plus TV show Kahaani Ghar Ghar Ki. He also appeared in SAB TV's show F.I.R. as Inspector Raj Aryan. He is commonly known for his role in Colors TV show Comedy Nights with Kapil as Dadi and Pushpa Nani in The Kapil Sharma Show. Despicable Me 3 Steve Carell Gru and Dru Hindi English 2017 2017 Both characters were originally voiced by Steve Carell. ^ a b "Indian Television Academy Awards 2006". IndianTelevisionAcademy.com. Retrieved 22 January 2014. ^ "Ali to play a shayarana cop". Indian Express. Retrieved 13 May 2011. ^ a b "Indian Television Academy Awards 2014". IndianTelevisionAcademy.com. Archived from the original on 3 December 2013. Retrieved 22 January 2014. ^ a b c d e f g h ""Television acts on subliminal levels far more than cinema does"". 8 March 2003. Retrieved 23 March 2018. ^ "Chunauti: This 1987 TV show was the first to capture the campus life". 23 May 2016. Retrieved 23 March 2018. ^ "Star Plus' next kids' show 'K3D' ready to roll". 15 May 2004. Retrieved 23 March 2018. ^ "Star One to launch weekly show 'Kadvee Khatti Meethi' on 23 Oct". 13 September 2006. Retrieved 31 August 2017. ^ "Zara Nachke Dikha: Groove to the tunes of the evergreen songs on 25 August at 9.30 pm only on Star One!". 23 August 2008. Retrieved 23 March 2018. ^ "Sab to replace 'Yam Hai Hum' with Optimystix's 'Woh Teri Bhabhi Hai Pagle'". 14 January 2016. Retrieved 23 March 2018. ^ "An Indian twist to Despicable Me 3". Retrieved 15 June 2017. ^ "Indian Television Academy Awards 2008". IndianTelevisionAcademy.com. Retrieved 22 January 2014. ^ "List of winners of Indian Telly Awards 2013". 17 January 2014. tellyawards.indiantelevision.com. Retrieved 17 January 2014. This article about an Indian television actor or actress is a stub. You can help Wikipedia by expanding it.